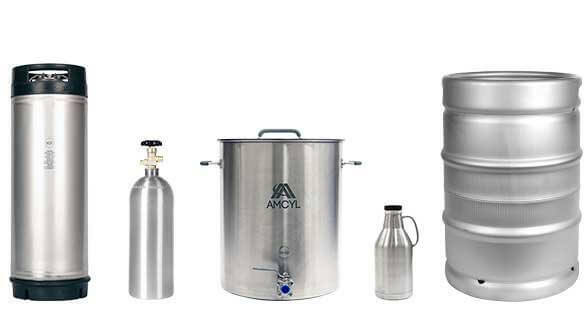 All Safe Global is a master wholesale stocking distributor of compressed gas cylinders, cylinder parts and accessories, beverage kegs, and brewing equipment. The company maintains an unmatched inventory of cylinders, valves, kegs, life safety equipment, and many other industrial and retail hard goods, on-hand and ready for delivery. In addition to the expansive wholesale inventory, All Safe delivers outstanding customer service to multiple business-critical sectors. The company operates a nationally recognized, DOT-authorized service center, providing cylinder recertification, refurbishment, and recycling services, as well as a mobile fire protection and life safety division offering on-site inspections and product delivery. With more than 30 years of industry experience, superior technical expertise, volume purchasing power, and rapid product turnaround, All Safe Global is the premier choice for demanding businesses the world over. We stock a broad inventory of cylinders, valves, regulators, kegs, parts, and accessories. Our purchasing power allows us to provide high-quality brands at competitive prices. We are committed to offering the best value and quick turn-around. With more than 30 years of experience in the compressed gas industry, we are exceptionally qualified to answer questions and find solutions for your business. All Safe meets the valve and cylinder needs of customers across the United States and in select international markets. We provide highly competitive freight options for economical and efficient distribution. All Safe is a DOT-authorized hydro test center. We inspect cylinder fleets and determine their safety for continued use, and can recertify and recondition cylinders that pass.